Creating with ceramic clay is a sensory experience I appreciate. 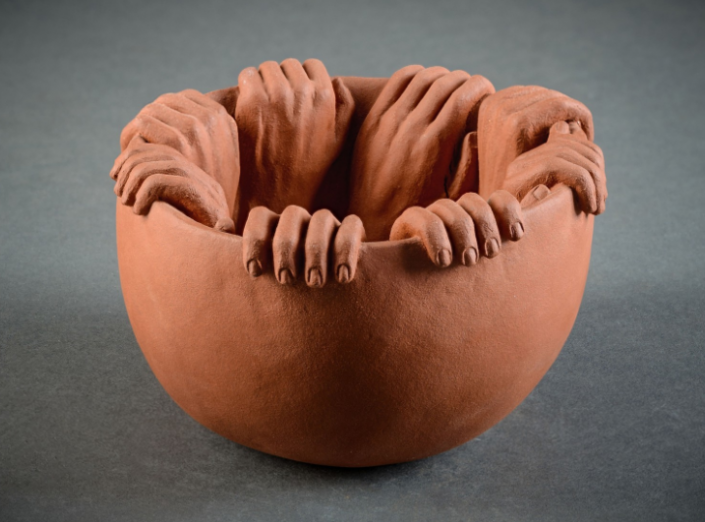 I take great pleasure in using my hands and tools to explore the tactile nature of clay. I often use the human form as my inspiration and starting point, in particular the theme of crowds where one is never alone. I am creating my visualizations of unique places where people come together to exist, referencing a communal experience. I explore the thought and image of having these figures play a part in the structure of the piece, where they emerge or come forth from the form. 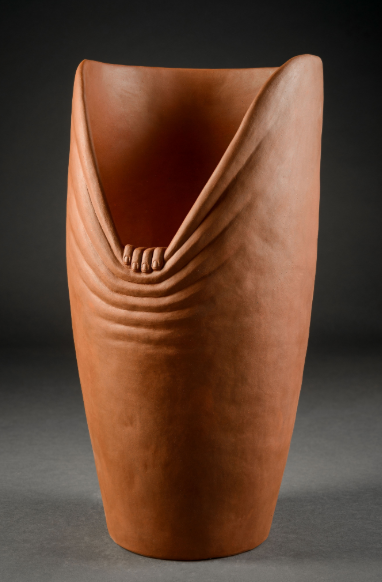 I often leave an unglazed clay body emphasizing the earthy nature of clay, representing that line of connection that we have with the earth which we inhabit. Some work calls for precision and great focus and some calls for chance and spontaneity. Some work calls for a pen and a pad of paper and some calls for power tools and eye protection. Each material exists as what it is before I manipulate it and transform it into art, which means each has qualities the I have to cater to. 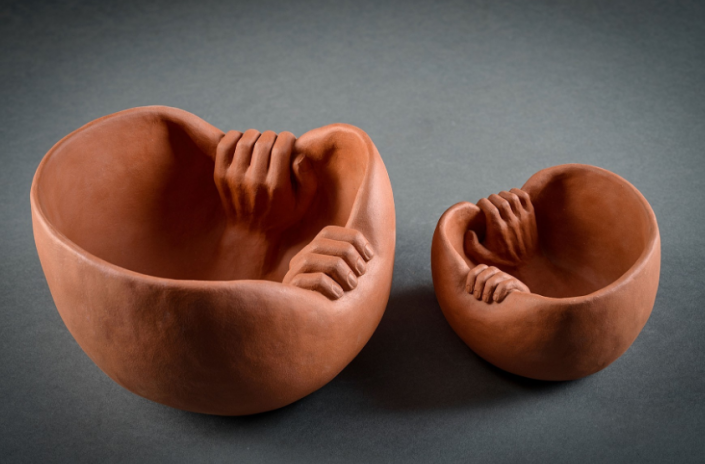 This practice of exploring various mediums leads me to understand the potential of each material; it’s capabilities, like the strength of metal or the malleability of clay, are what I am exploring. The greatest influences of all are dexterity and aesthetics. I make art because my hands are able and mind is excited. My process is thoughtful and intentional often requiring time and patience. I do this for the end results that interest my eye and thoughts.